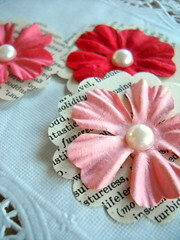 Just added these sweet paper posies to my shop! Just found you via etsy, looking for fabric scraps. Sweet blog, adorable shop!